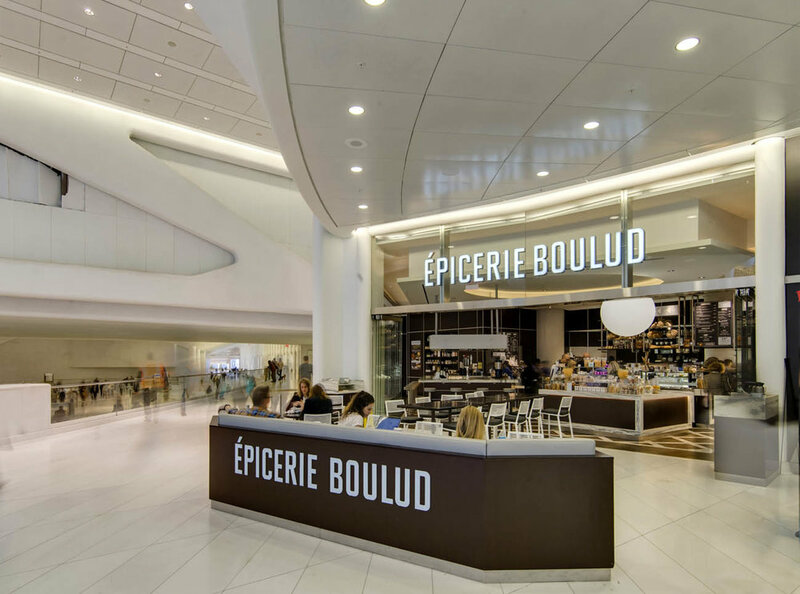 This third location of Chef Boulud's popular retail market and café is situated in the Westfield World Trade Center. Épicerie Boulud is an epicurean destination for breakfast, lunch and Happy Hour. Épicerie Boulud is famous for its fresh baked breads, delicate and award-winning pastries, savory quiches, soups, salads, sandwiches, and unique French grocery fare. True to the European tradition of casual bar dining, Épicerie Boulud has counter seats at the bar in addition to café seating at tables, where visitors can indulge at their leisure in an elegant yet casual surrounding from morning well into the evening. 3 cheeses Gouda, Muenster and Tallegio on a homemade brioche. Smoked Turkey, Bacon, Fried Egg Lettuce, Avocado & Garlic Aíöli on a Flour Tortilla.